Q. Could we get some air freshener for the toilets? Thank you for taking the time to complete a 'You said, we did' card. I followed up your suggestion with the University's Cleaning Manager. She advised that we stopped using air freshener as a general rule a number of years ago as it was an unnecessary expense for the University. 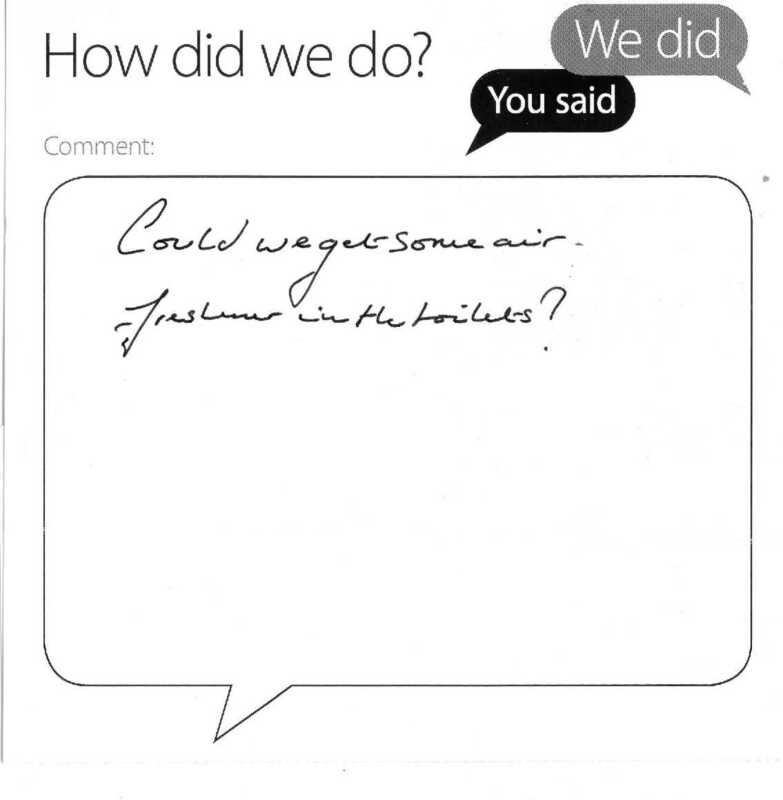 The buildings are cleaned to a high standard so should be fresh and clean – the Main Library toilets are cleaned at least six times per day. Of course the very nature of the washroom means they may not always be completely fragrant – unfortunately a fact of life. We also would not advocate the use of aerosol spray due to allergies. If you do come across any particular issues relating to the toilets in the Library please do alert a member of Library staff straight away.